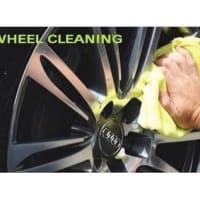 Full, Half and Mini Valet Specialist with Over 25 Years in this Business. Full Detailing Options. Covering Anywhere Within a 15 Mile Radius from Wimborne. 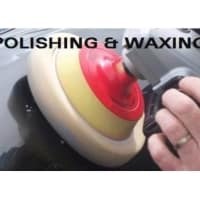 I have been running my valeting company since 1993, I offer a mobile service for your convenience. I can come to your work place or home. I only use top quality products which include Autoglym services from mini valets right up to full detailing. 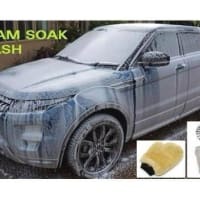 I was first Autoglym trained 25 years ago at their head office and still use this product today for best and lasting results ! Darren did a really great job with an old and worn car that could now pass as new! 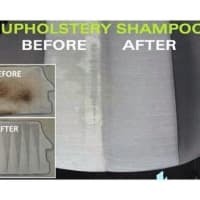 Halfway through, he showed us the difference between one of the old seats and one he had cleaned and the difference was amazing. I would recommend Darren to anyone looking for a valeter who does a good, thorough job. Darren is the only person I’d trust with my car. He is honest and a pleasure to deal. He has been doing my cars since 2009 , so that says a lot. His work is very thorough and they always look immaculate after he has been. So, all in all, a great guy and great service ! Highly recommended, fast, friendly and efficient service! Our old, little Nissan Micra was given a 1st class valet service today by this very friendly and efficient gentleman. I could not be happier with the results and it looks better than when we bought it! Despite the fantastic clean inside and out that our car received, we were charged a cheaper price than what was originally quoted, which was great more so for the honesty about the car's needs from the gentleman. Also very quick service and was easy to arrange. Will absolutely use your business again and could not recommend highly enough, thank you! 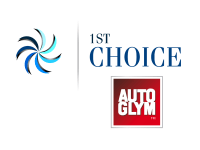 We have been using Darren (1st Choice Mobile Car Valet) for over 10 years and will continue to do so for many years to come. Darren if a very reliable, professional and friendly person. 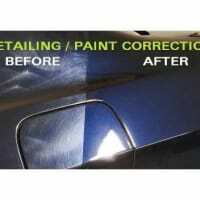 We always get compliments about the condition of our cars and this is purely because of Darren’s work. We recommended Darren to a friend 5-6 years ago, he’s been delighted with Darren’s work also and still uses him on a regular basis.